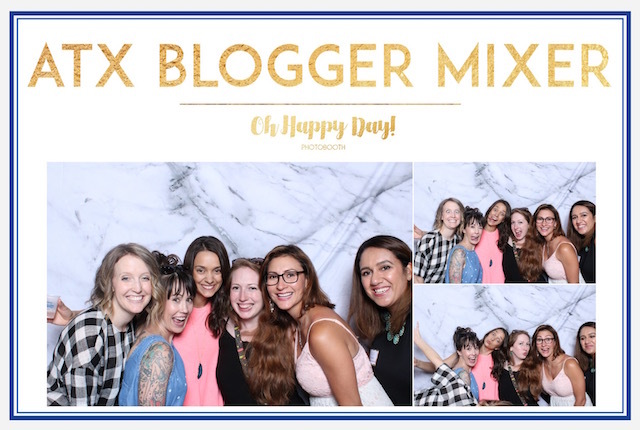 Last week I hosted my 7th ATX Blogger Mixer! I can't believe I've been planning these for almost 3 years. I had a wonderful co-host, Anita, who blogs at Fearless Captivations help me with the event. 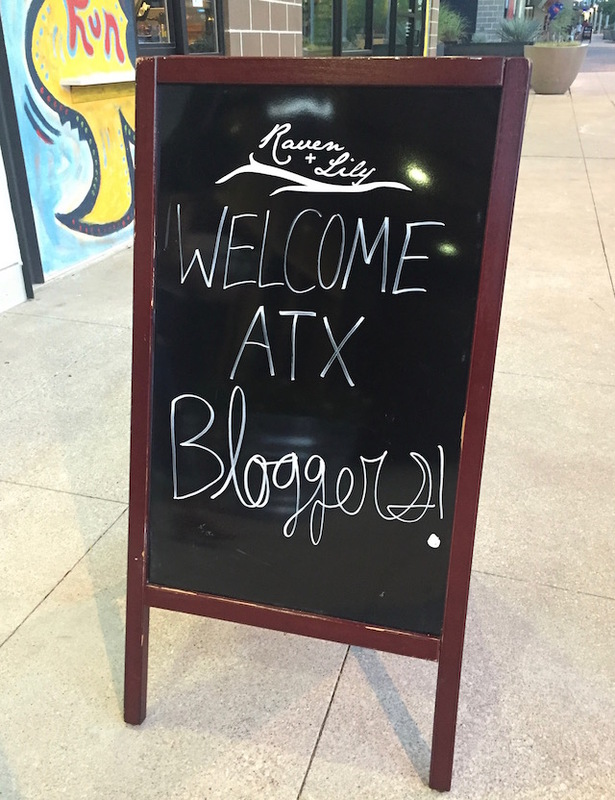 We hosted the mixer at Raven + Lily's newest location at Rock Rose at the Domain. The space is absolutely stunning, and we were lucky enough to have their CEO & Founder, Kirsten Dickerson, guest speak. Kirsten inspired us all with her wisdom and passion for empowering women. There wasn't a dry eye in the room after hearing her stories about working with and helping women around the world. 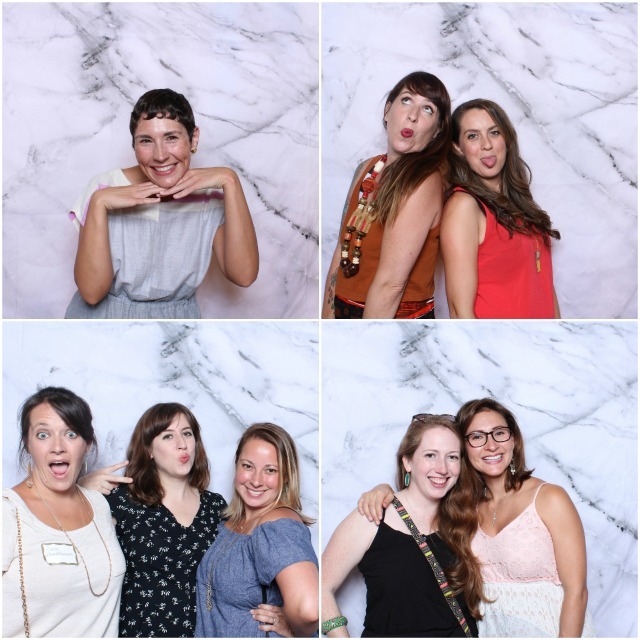 Oh Happy Day Photo Booth was on site to take these awesome photos of our guests! I'm so happy Kelsey captured everyone's unique and fun personalities. 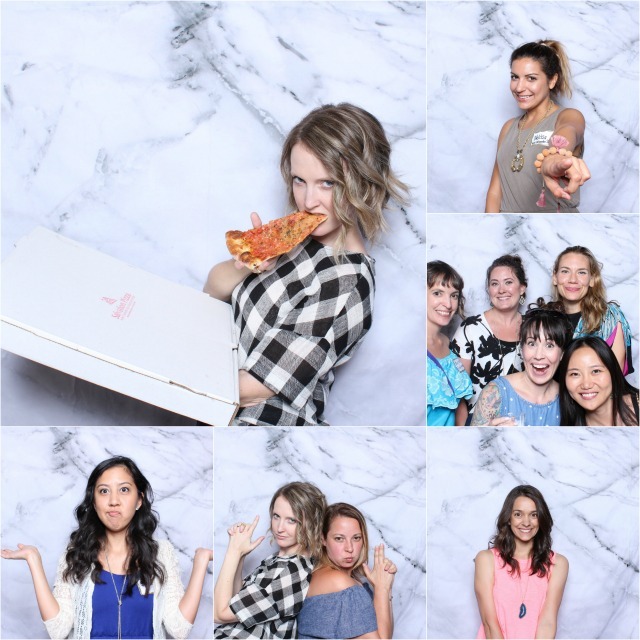 What a beautiful group of women! 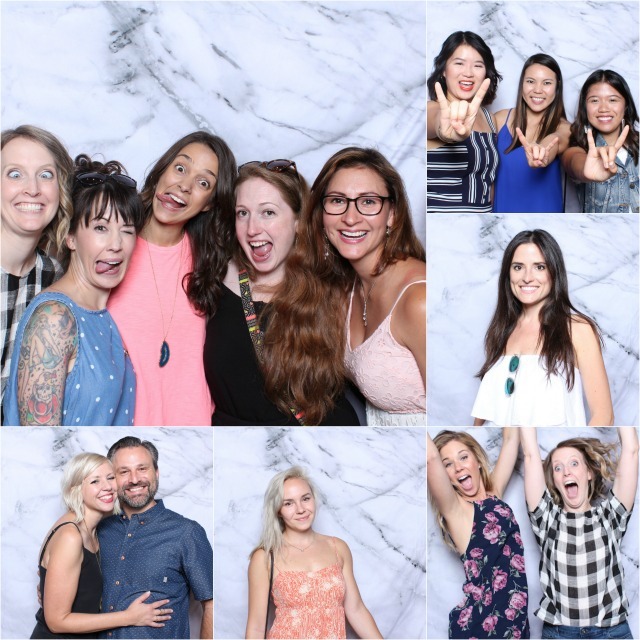 I was able to choose a custom backdrop, custom template to print out the photos, and all guests were able to have their photos instantly emailed and texted to them. Refreshing cocktails were provided by Mighty Swell which is new to Austin. Flavors to choose from were peach, lemon and grapefruit...yum! We had TONS of hand tossed pizza and Italian sandwiches from Salvation Pizza, which is opening a new location on Rock Rose Ave. And we can't have a mixer without something sweet! 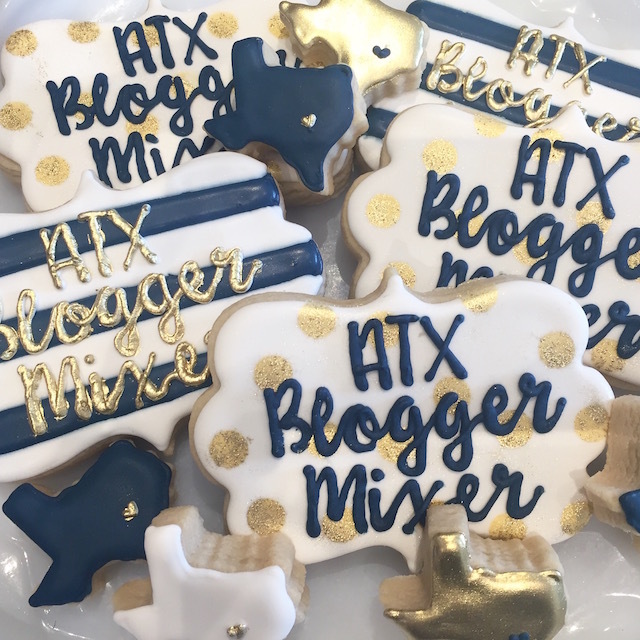 Short Bread Baking Co. created the cutest TX shaped cookies that were totally Instagrammable ; ). The best part is they tasted as good as they looked! I don't think anyone left hungry which is always my goal. 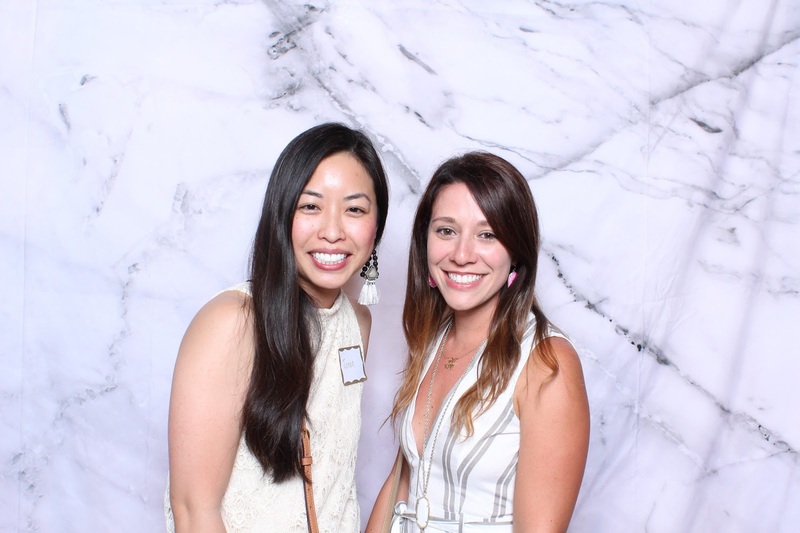 We had amazing giveaways from Viva Day Spa, CorePower Yoga, Raven + Lily and Bird's Barbershop. All of our giveaway sponsors have opened stores on Rock Rose Ave at the Domain! Thank you to everyone who came! 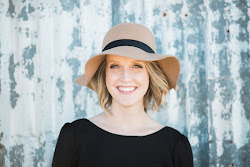 I hope you left inspired, learned something new about blogging, and created new relationships. Leading up to this event, I always think I might take a break from it all because of all the work it takes, but the second it's over I'm already planning the next in my head. That's only because of the women and bloggers who inspire me. It's like when you go to camp and you leave SUPER pumped up. I have an excitement and fire in me after it's over, and I can't wait to do it all over again. 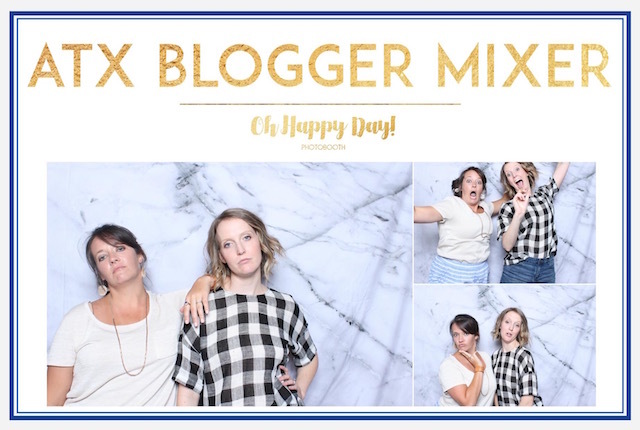 Stay tuned for the next mixer this Fall!